Libby and her older brother, J. D., don't get along, and their relationship is tested in an unexpected way when they visit their grandparents in Santa Fe. 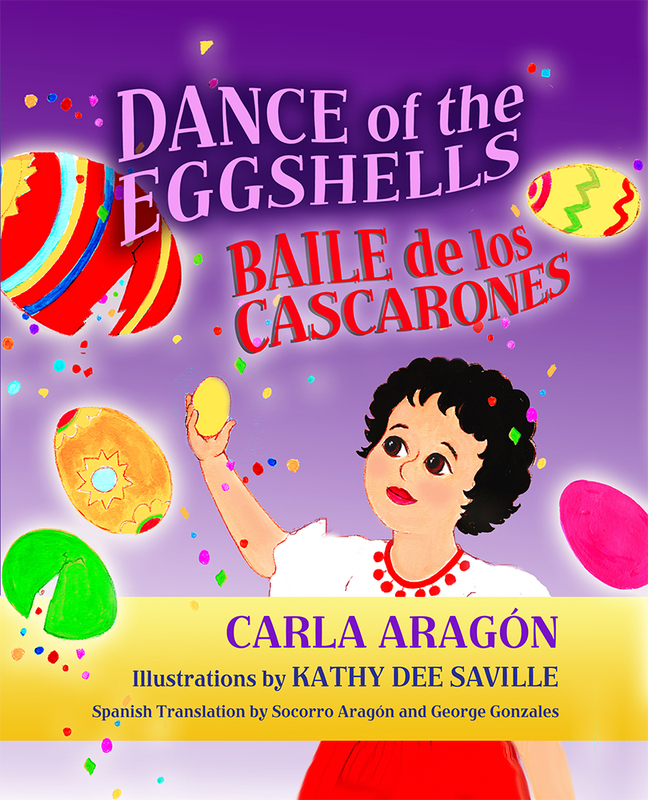 It's the week after Easter and Grandma Socorro is eager to share a cultural tradition with her grandchildren--the Baile de los Cascarones, the Dance of the Eggshells. Although both children are skeptical, Libby soon immerses herself in carefully emptying and rinsing the cascarones, or eggshells, then filling them with brightly colored confetti. As Libby decorates them, Grandma Socorro tells her about the Spanish tradition. At the Baile de los Cascarones, people ask one another to dance by gently crushing cascarones over their heads. When the day of the baile arrives, Libby is excited to take part in the fun. While J. D. bombards his cousins with cascarones and ignores the dancing, Libby learns every traditional dance. During the popular Baile de la Escoba (the Broom Dance), J. D. is forced to dance and Libby saves him from embarrassment. This bilingual children's story explores the family bond created through traditions passed on by grandparents. Through Libby's first exposure to the Baile de los Cascarones, author Carla Aragón recounts one of her favorite customs while growing up in Santa Fe. Carla Aragón is an Emmy Award-winning journalist who spent thirty-five years in broadcasting in Albuquerque, New Mexico, and Los Angeles, California. This is the first of many bilingual children's books she hopes to write on her family traditions. Kathy Dee Saville is a former art teacher in the Iowa City and Albuquerque public schools. She is also a musician, singer, and composer. She resides in Rohnert Park, California.